Evel Knievel Personal Gold Check from His Own Account... "Maybe The Last Check"
EVEL KNIEVEL 11x17 Printed poster used for autograph appearances-London photos! 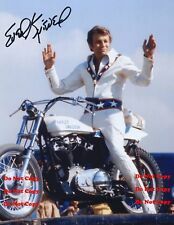 Evel Knievel Hand-Signed/Autograph Montana Standard Newspaper "Happy Landings!" 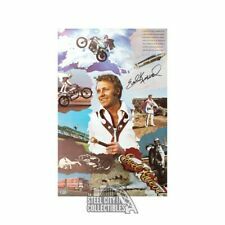 Autographed EVEL KNIEVEL 1971 Souvenir Program Vintage Rare Hard To Find SIGNED! 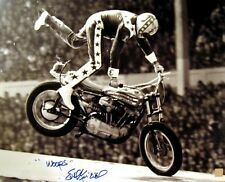 Framed Evel Knievel Sports Illustrated Autograph Replica Print - Up and Away!